Body Shaming is always in season for some people, but January 1st often heralds a special time in the push to capitalize on women’s dissatisfaction with their bodies; headlines shout, “NEW YEAR, NEW YOU!”, the gyms fill up, and magazines and blogs everywhere explode with suggestions on taking off that “WINTER WEIGHT” and undoing the “damage” of all the holiday meals and indulgences. Fitness industry professionals are in the business of getting people to pay for guidance on how to change their bodies. So it might seem contradictory for a blog post on a fitness website (intended to get you to buy workout plans) to say that you don’t need a “New You”. But the message that strengthening your body, and eating in a way that supports that is a great goal does not automatically engender shame about the state of your body right now. There’s the train of thought that fitness should only be about health and strength, and not aesthetics at all, and while that’s a strong body positive message, it’s not out of the realm of healthy mental attitudes to believe that you can love your body right now, and also take action to change the way it looks. You can love your body and still think that it would be badass to have defined biceps, or bigger glutes. You can want fat loss for health reasons, and you can desire to have a different silhouette, and still appreciate what your body has done--carried you this far in life, housed children, etc. Making changes that we like is a right we have, and sometimes changes that facilitate health also change our bodies in ways that we admire. That’s not wrong. Just remember that your body is worthy of love just the way it is. Desiring change doesn’t necessitate shame. You can love your body at every stage, even if you’re enacting a plan to change it. Things change, people grow and evolve, and if you can love them every step of the way while they do, you can apply that same acceptance and love to yourself, as well. Happy New Year, to the Current You. The New Year often brings a bevy of folks to the gym, but what if you’re already there, three to five days a week? Maybe there should be a new category of New Year’s resolutions for the crowd that is already grinding it out...and is ready to change it up. You might have the knowledge that consistency is key down pat, but you’ve lost the excitement. It was fun in the beginning, when weight training was new and a challenge, but now your fitness routine is just that...a routine. Tapping into new fitness plans that offer fresh challenges is key to giving your muscles new growth opportunities, and also important for keeping you motivated. It’s fine if you thrive under the regularity of your fitness routine, see growth and definition, and love your results. But if you’re itching to switch it up, or you’re not seeing the type of progress you want...think about starting the New Year off with a new fitness plan. Maybe you want to go back to basics and build a foundation of strength, or maybe you need to jump start some hypertrophy. Maybe you want it all, and need a sequence of fitness plans that will walk you through it, with the thinking already done for you. If you’re consistent, you’re ahead of the game. But don’t let that devotion to the daily grind take away the fact that weight lifting can still be fun, even if you’re years in, and think you have to do it “A Certain Way”. You might also be surprised at how enjoyable a change of pace can be, even if it’s just tweaking a few exercises, or adding some new-to-you moves that amp up the fun quotient of your fitness routine. Check out a Busy Mom Gets Fit plan, and let the New Year uncover a new aspect of your love of fitness. In the world of physical health, a “fitness” plan or mindset isn’t easily quantifiable. There are markers that a doctor might use to measure fitness, and they may include BMI charts or self reports about activity levels. Stress tests can determine certain limitations, and you can measure oxygen capacity. If you’re in the military, there’s a very distinct standard to measure your fitness; run a mile in a certain time and perform various exercises in a particular number. But what about the average individual? What if you’re a middle aged accountant who isn’t trying to become a Navy SEAL, or a stay-at-home mom that just wants to feel stronger tomorrow than you do today? Even if the measure of individual fitness isn’t able to be captured with a simplified rubric, you can certainly set goals and work towards them. And that may be an important facet to add to the definition of “fitness” itself; setting goals and achieving them. Not simply a state of being able to do a particular number of reps, but the mindset of continual challenge and achievement. But there’s a typical progression with those seeking “fitness”...they set new goals. They try new things. They offer their body and their mind new challenges. If it fits as a good meaning of life, it’s probably also very applicable to a definition of fitness. Moving up. Ahead. Achieving. Conquering. Badass factor of building visibly strong muscles aside, strength training for women has a multitude of benefits. Your Booty. Can we just admit that some of us are on a seemingly never ending quest to plump our backsides? You can blame J-Lo, you can embrace what God gave you, and you can also build up your glutes (they’re more than just decorative; a strong posterier chain is important to protect your back as you age) with...say it with me...weight lifting. Your Skin. Strength training for women might have a positive effect on aging skin. Yes, you should embrace those stretch marks that remind you that you grew a person. Yes, each laugh line reminds you of happiness. But keeping a rosy tone and healthy skin surface is still something you want, and research may be pointing towards the improved mitochondrial function that strength training for women provides as a boost for skin. Your Bones. Weight lifting builds up your bones in much the same way it builds your muscles. When bones perceive stress they build up, offering a protective mechanism against that other “Big O”...osteoporosis. The reasons are legion for women to strength train, but these are a few of the biggies. Already on board, but ready to dial it up? Newbie who needs direction? We have a plan for you! Yes, the best form of exercise is one that you love and do consistently, but there’s plenty of evidence that finding a workout plan for strength training and/or weight lifting and sticking to it is crucial. For everyone. Protects Your Primary Pursuit. Weight lifting can totally be content to be a side chick to distance running or cycling, or whatever. In fact, this is how selfless it is; it will help protect you against injuries so that you can be even better at the fitness endeavor that is your first love. Evidence points to competitive runners improving their running economy (using less oxygen) through strength training, and it’s becoming more and more clear that long distance cyclists can combat back pain and power imbalances by finding a workout plan that helps build core and upper body strength. Cross training with weights generally has protective components for almost any activity; overuse can drive up your risk of injury, and building up the muscles that surround the specialized ones for your activity can prevent that. Ensures Unique Health Benefits. Aerobic exercise enhances heart health, and studies have proven that is has several protective effects against certain conditions. However, anaerobic exercise, like weight training, offers benefits like bone density boosts and can have a positive effect on blood sugar regulation. Gives an Edge to Weight Loss. Many people on a weight loss journey have found that finding a workout plan that’s designed to build muscle has helped them define their physique, after an initial weight loss spurred by cardio. Even if you’re just starting a weight loss goal, using strength training as a means for fat loss is smart; it increases metabolism and muscle burns fat, so it makes sense to build muscle. So, why not just do a few exercises on your own? What’s the magic in finding a workout plan with a prescribed format? The answer is that while the reasons for weight lifting are simple, the targeting of specific muscles, balance achieved with sets and reps, etc. is a little more complex, and a plan that is designed for definitive goals--by a professional who has gotten results and has experience--can save you time and get you on the right path, initially. 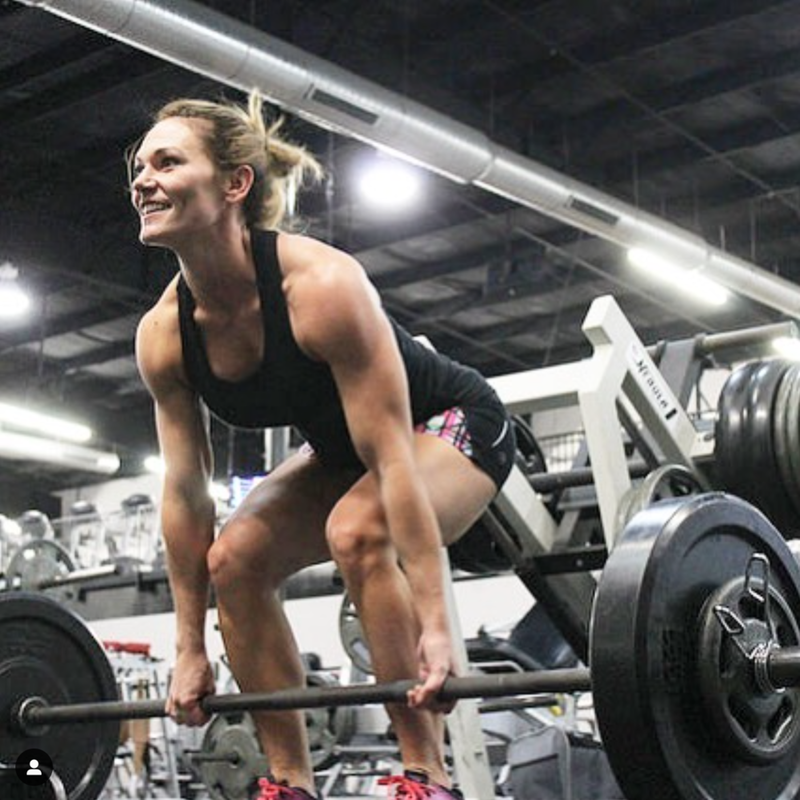 Discovering more about the science behind weight lifting and designing your own workouts is part of the fun, but you need to allow for a learning curve in the beginning (or when you have a new goal that you want to be sure you’re on track to accomplish). Or you may always want all of the thinking done for you, when it comes to laying out a plan for your strength training. Either way, there are a multitude of reasons for finding a workout plan that meets your needs, and we have them! Take the quiz today and see which plan would work for you! Wearable fitness trackers are pegged to be one of the top fitness trends of 2019, according to a report by ACSM’s Worldwide Survey of Fitness Trends. Okay, maybe that’s subjective, but some of the watch-style trackers have definitely made fashion a selling point. Glancing at your wrist, in the style of “Oh, just checking the time” is also a little more laid back, image-wise, than laboring over your phone while in line at the coffee shop, to check your stats. There’s Evidence They Help. (There’s Also Evidence They Don’t). Information tends to assist in hitting health goals. There was the stage of exercise-related knowledge development when calorie tracking was introduced, then the concept of hitting macros, and now, knowing just how much energy you’ve burned--as opposed to guessing--is the next level of using information to guide your fitness and health goal making and decision process. A recent article by WIRED pointed out that the scientific study of wearable fitness gadgets has pointed towards them being ineffective at keeping people engaged and moving towards fitness goals...but they also point out that the studies have used small sample sizes and have focused on first generation devices, not the superstars they are today. Simple step counters no more, today’s fitness gadgets can track your sleep habits and offer nudges if you haven’t done a normal-for-you workout by week’s end. In the end, you’ll have to be your own judge about how information like this could help you meet fitness goals; if you benefit from tangible reminders and technologically integrated solutions, then a fitness tracker might be for you.